The Conference entitled “The Future Has An Ancient Face,” marking the end of the restoration works of the “Loggia del Nicchione,” which overlooks the cones courtyard of the Belvedere Palace at the Vatican, was held on December 19, 2017 in the Conference Hall of the Holy See, stated a press release of UNESCO’s Friends of the Holy See. The Conference was the occasion to review the five centuries of the Belvedere Palace’s history. Barbara Jatta, Directress of the Vatican Museums, and Vitale Zanchettin, in charge of the Superintendency Office of the Architectonic Goods of the Vatican Museums, were present. Modified in the course of the centuries, the Belvedere Palace is occupied to a great extent by papal collections of the Vatican Museums. In the beginning, the Belvedere Palace was only a pavilion given to Pope Innocent VIII (1484-1492). 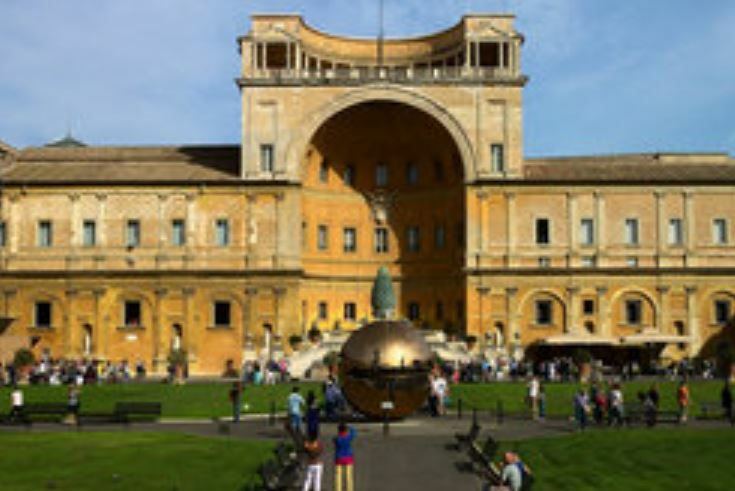 Pope Julius II (1503-1513) and Renaissance architect Donatio Bramante undertook the works of modernization and enlargement of the Belvedere Palace in order to connect it to the Apostolic Palace by a system of courtyards and terraces. Like the whole of the architectural patrimony of Vatican City, the Belvedere Palace has been registered as a UNESCO world heritage site since 1984.